No matter your level, join us for a fun and learning-packed day of swim technique coaching with Mark Pearce (BTF level 3 coach) and his assistant coaches, Chris Hine ex-Elite triathlete (BTF Level 2) and Pro triathlete Kim Morrison (BTF Level 2). Places on the course are strictly limited to 12 per course (1:4 athlete/coach ratio) to enable a high level of individual attention and input. On the course you will learn about front crawl swimming: what is important and what isn’t to YOUR stroke. Everyone has slight differences and not everyone needs or should swim with the same stroke. We will be working with you to identify the key points for you. Body position, kick, timing, catch, rotation, head position, breathing, and how these all combine to effect the efficiency of your stroke. 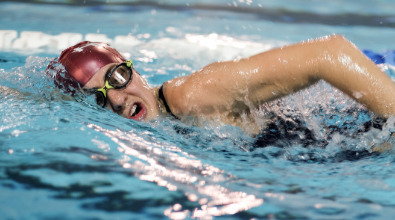 During these sessions we will use a combination of drills, feedback and repetition to help you to learn the skills required to swim faster for less effort. All of these areas are also related to triathletes and open water swimmers specifically, so adding some of the open water skills to these will be natural, you don't need to re-learn to swim. Outside the pool we will be going over the key points of the stroke, helping you to understand what, why and how it all works. 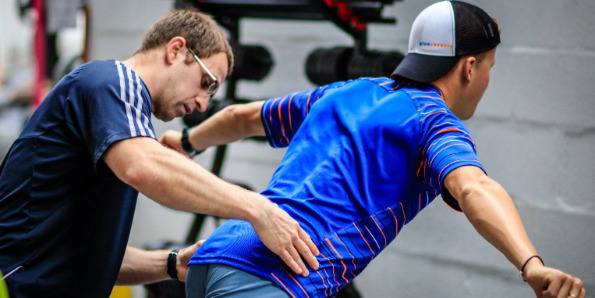 We also have a session with top Strength and Conditioning Coach, Mark Niemz (formerly S&C coach for British Triathlon), who will be looking at flexibility, mobility and basic conditioning exercises for swimming. You will get some resources to take home and use in the future from these sessions too. During the swim sessions we will be performing under and overwater videoing, so we can provide you with clips of your stroke. Whilst this is not strictly speaking video analysis, it is extremely powerful in helping you to understand the strengths and weaknesses in your stroke. We will also be able to compare this with any subsequent courses you come on. Final detailed schedule will be sent out once booked onto the course. Start and finish times will be the same. 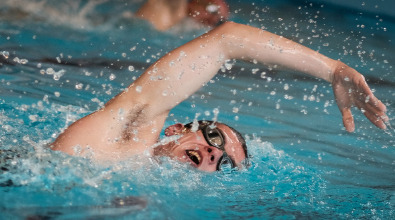 You must be able to swim and ideally be active in open water swimming or triathlon. There are 3hrs+ of swimming sessions (you won't be swimming all the time), so you need to have a reasonable level of fitness for swimming. As an example if you have raced in sprint triathlon races, you will be able to manage the course. Ideally you should be able to swim 400m in less than 10min but the session can manage people swimming as quick as 5min. If in doubt or if you want to chat please contact Mark. £150 for one day, with athletes on our Standard Coaching Package receiving 10% off and those on Premium receiving 20% off. To book please click "BOOK NOW" and you will be asked to complete a booking form and health questionaire. We will then send you an invoice via Paypal with discounts applied as applicable. Once you have completed the form yout place will be secure for 48hrs, and will be confirmed once you have made payment. Prior to starting Intelligent Triathlon Training, Mark coached the Olympic programme based in Loughborough. During that time he coached top athletes such as Adam Bowden and Mark Buckingham, both late converts to the sport and with limited swimming experience, who were able to race at the highest level. Also part of his squad was Lucy Hall, one of the fastest swimmers in the sport of triathlon. 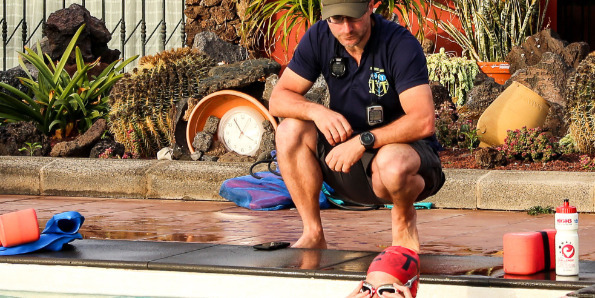 Since starting ITT he has run a highly successful Swim School programme, improving the swimming technique and speed of many age group athletes in the Loughborough area. Now he is bringing that opportunity to a wider audience, through the Swim Clinics. 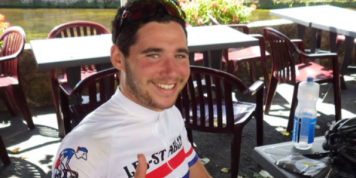 Chris is a Level 2 British Triathlon coach, currently completing his Level 3. He graduated with a Sports and Exercise Science degree from Loughborough University in 2016 where he competed with the squad based there during those years. Chris got down to a 4.20 400 when he was competing so has some good experience working on that technique to produce some speed. is currently racing as Pro in Ironman 70.3 and soon the full Ironman Distance. In two seasons of pro racing she has racked up 2 Ironman 70.3 wins and multiple podiums. Kim brings a different dynamic to the team, as she is currently coached by Mark, she knows the techniques inside out and provides a wealth of experience from poolside and inside the pool. Mark was part of British Triathlons performance programme delivering triathlon spcific strength and conditioning support to Elite atheltes on the Olympic Pathway. We are fortunate to have him delivering a workshop on mobility and condinting to imporve your swimming. Learning to be more efficient in the water requires breaking a stroke down into parts and practicing it. Then applying that into your full stroke. MOST important though is understanding what the drill does and why! Many people do drills without correctly executing them or worse, understand how and why they are useful. Without purpose they are just a warm up exercise or a time waster. Drills work........when they are implement properly and inserted into a programme appropriately. Thanks for this Mark - and amazed by the change over just 4 coached sessions! That conversation has been had a few times. Thanks so much for taking the time to go through the video, break it down and analyse it - massively helps me understand what it is I need to work on....and makes me all the more determined to crack the timing thing (amongst all the other bits to improve). That's really helpful to see and I feel very encouraged! The sessions are brilliant and a few things are starting to click now.